NEW DELHI: Samsung is reportedly gearing up to launch the third smartphone in its newly launched Galaxy M series in the form of Galaxy M30 in early March at a starting price of under Rs 16,000. The new Galaxy M series has been a major worry for Chinese brands like Xiaomi, Honor, Realme and others. Since the launch of the new Galaxy M10 and M20, Xiaomi has left no stones unturned to mock the new Samsung phones and boast how good the Redmi Note 7 would be. However, it seems Samsung has some other plans to steal the so-called thunder of RedmiNote 7 with it upcoming Galaxy M30. The Samsung Galaxy M30 will directly compete with the upcoming Xiaomi Redmi Note 7 and will be priced very aggressively. Samsung will be offering a 6.38 inch Super AMOLED Infinity-V display with Full HD+ resolution along with 5,000mAh battery in the Galaxy M30. Also, the Galaxy M30 will feature a triple-lens camera setup at the back. The primary sensor is expected to be 13MP along with two other 5MP sensor. The smartphone is expected to offer 6GB of RAM and will most likely be powered by the new Exynos 7904 processor. The Xiaomi Redmi Note 7, on the other hand, has a dual-lens camera claiming 48MP photos on Pro mode only, along with a 4,000mAh battery, a tried-and-tested Snapdragon 660 processor and a 6.3-inch IPS LCD display along with other features. On the camera front, the Redmi Note 7 comes with a 12MP+5MP (software optimised 48MP only on Pro mode) rear camera along with a 13MP front camera. 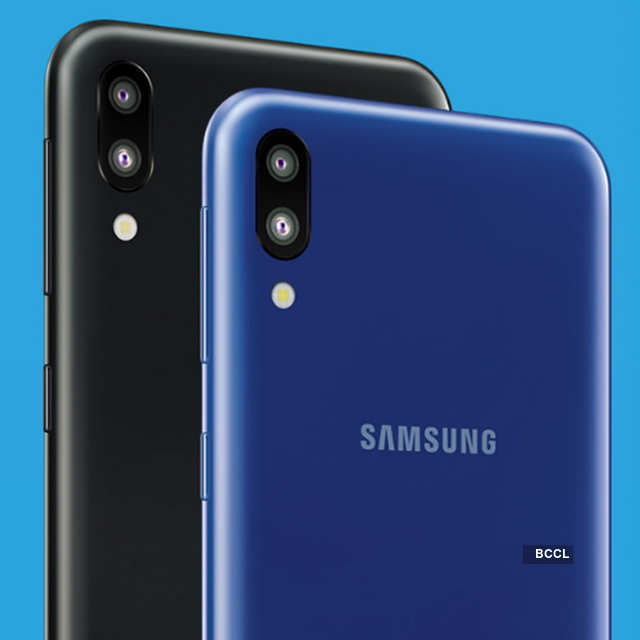 The Samsung Galaxy M30 would feature a 13MP+5MP+5MP triple-lens camera and a 16MP front camera. Not to forget, the Samsung Galaxy M30 would come with Widevine L1 certification and Samsung also stresses on the fact that their product team has paid special attention to keep the mobile radiation or SAR level to a bare minimum. As far as other specs and performance are concerned, it would be a tough battle between Redmi Note 7 and Galaxy M30. In fact the Galaxy M30 may offer a better spec sheet than the Redmi Note 7. While Xiaomi will try its best to woo buyers with the lowest possible price for the Redmi Note 7, it would be interesting to see how Samsung reacts to it.